After some serious spring cleaning and careful online shopping, my newest capsule wardrobe is finally complete! What is a “Capsule Wardrobe”? You can also check out these two posts from last year’s capsules for additional info: Winter Capsule Wardrobe, Spring Capsule Wardrobe. Now that I’ve discovered this way of simplifying your style and dressing more intentionally, I don’t think I’ll ever go back. I’ve learned some lessons over the past year of minimal fashion, and this is the most excitement I’ve felt going into a new season. Knowing how brutal Texas summers can get, I wasn’t able to carry over a lot of clothing from my Winter capsule, but I’m hoping that many of these easily-layered pieces will transition nicely into next Fall. #CapsuleWardrobe Tip: Stick with high-quality basics that will last through multiple seasons! I ended up wearing black for about 80% of the time last season, so I was anxious to add some color and prints this time around. I’m still trying to keep to a minimal aesthetic, but swapping out black items for white ones, incorporating blush pink as a new color, and adding gingham for a fun seasonal print. With some summer vacations in mind, I added another category to show things that I use when traveling. When flying, I always try to fit everything in a carry-on suitcase or duffle bag, so I don’t have to check any luggage. 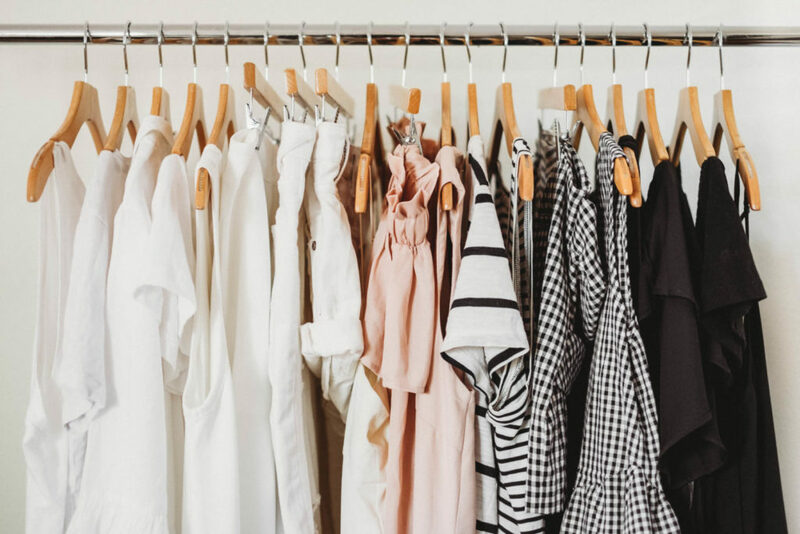 Would love to hear from anyone else who has found success building a capsule wardrobe! Any tips to share or essentials that I’m missing from this list? oh my gosh, i would love to! that’s it– i’m coming over saturday and revamping your closet. YES YES CHEERS TO BLUSH AND GINGHAM, lol! hehe blush feels so springtime-y to me! 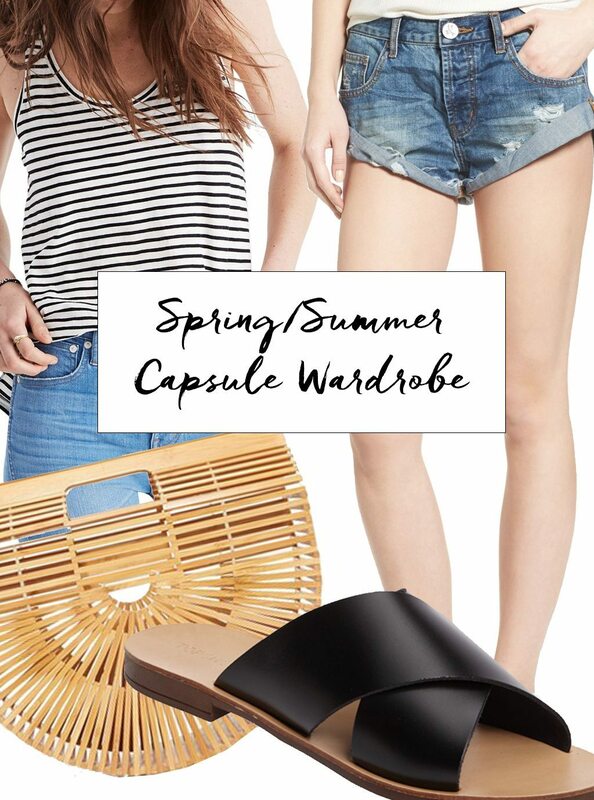 Your capsule for spring//summer is so dreamy and cool! I’m making my way through The Curated Closet and doing the activities, but I don’t think I’m at a capsule wardrobe level yet, but you’ve inspired me to give it a try soon! thank you, heather! yes– it’s definitely worth a try. give yourself some leniency for your first time, and refine your methods each season. I love all the black and white in your wardrobe! And some blush pieces too! Yes! Love capsule wardrobes in the warmer months so, so fun! I loveee capsule wardrobes! that’s basically what I have! Love your picks! Yes! Honestly I have so little summer clothes that I basically have a capsule wardrobe at this point (I don’t even have a full capsule wardrobe). I’m excited to fill in my wardrobe, but I’m definitely going to be incredibly intentional with what I buy! Your post definitely inspired me! I love all your pick!!! all the dresses are so pretty! I am a huge dress fan. I’ve always wanted to try one of these! Great picks. I always love the idea of a capsule wardrobe and always give props to those people who can pull it off! I don’t think I currently can haha! Oh, I love this list! Thanks for sharing!! I haven’t created a formalized capsule wardrobe for myself, but I’ve gotten very intentional with the pieces I do purchase and consider whether or not I’d actually wear them. My wallet thanks me, haha! We’re about to downsize from a house to an apartment so I really need to do a capsule wardrobe! It sounds much more practical and a total space saver! These are all so pretty! Such summer staples. Can I please get them all?! I love the idea of a capsule wardrobe! Sadly, it’s always pretty warm where I’m from, so I only need a ton of warm weather clothes! Such a great collection! I need those sunglasses ASAP. How much did you spend for your summer/spring capsule? I absolutely LOVE THIS !!! I used to create Capsule boards on Pinterest for myself. I feel so inspired now. Love so many of the looks you’ve listed here and I like how you have info on where to buy! The off shoulder / flounce tops are so in this spring/summer. This makes me want to start planning my Fall Capsule.